The Alcatel One Touch Pop C3 is a low-end Android smartphone released by Alcatel back in September last year. The device comes with a 4 inches display powered by a 1.3GHz dual-core processor and 512MB RAM – making it unsuitable for those who like to multi-task on their device. Whatever it is, we can still root Alcatel One Touch Pop C3 rather easily using the Framaroot app. If you’re interested, then read on to find out how to root Alcatel One Touch Pop C3! and download the necessary device driver if you have not do so. Make sure there is at least 80% battery remaining on your smartphone. 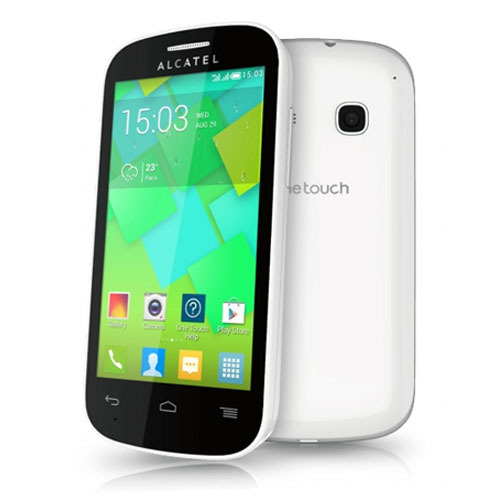 Back up the Alcatel One Touch Pop C3. Connect the Alcatel One Touch Pop C3 to your PC. Copy and paste the Framaroot apk (which you have downloaded earlier) from your PC over to the root of your device’s SD card. Once you have installed Framaroot, open it on your device. 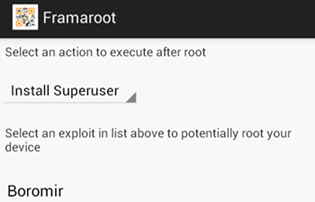 From the app, select the Install Superuser option under the Select an action to execute after root section as shown above. Moving on, select the Boromir exploit. ( You can try Faramir or Barahir exploit if Boromir doesn’t work ) under the Select an exploit section. A pop-up similar to the one above should appear on your screen. Congratulation! 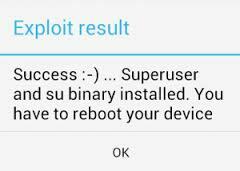 You’ve just rooted Alcatel One Touch Pop C3! Now, you’re free to install custom ROMs as well as recovery on the Alcatel One Touch Pop C3 In the meantime, stay tune for more how to root tutorials!